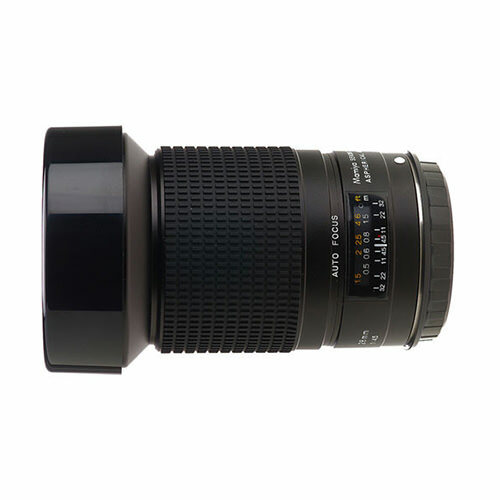 Lens Description: The Mamiya Full-Frame, Ultra-Wide-Angle, 28mm f/4.5 Sekor D lens is another in the long line of high-quality Mamiya lenses for their 645AF system. This innovative lens is the first medium format 28mm lens for both film and digital use. The use of high-quality aspheric lens elements produces outstanding optical performance.rnrnIn the fine tradition of Mamiya quality lenses, the 28mm f/4.5 lens provides superior optical quality for a wide variety of photographic uses. Photographers from many disciplines will put this lens to good use - commercial, architectural or nature. The aspheric elements deliver true color rendition by steering the light directly to the sensor in a straight line so that there is no color shift - a problem with many lenses used with digital backs. In this way, sharpness and contrast are maximized.